The Weekly Worker and the Alliance for Workers’ Liberty: A Forgotten Love Affair. Spooky but True: the Untold Tale of Weekly Worker AWL Unity. Followers of the minutiae of the left, and there are them, will know that no bitterer enemies exist than the Communist Party of Great Britain (Provisional Central Committee CPGB-PCC). and the Alliance for Workers’ Liberty. Both publish papers, which it has to be said, many on the left read, the former’s Weekly Worker for its articles on theory, socialist history its reports on Italy, Iran, and some other European countries, curious letters, and serious book reviews. The AWL’s Solidarity has valuable – accurate – reports on trade union and welfare issues, the Labour Party, and covers the history of the left, and international topics. It also carries good coverage of books. The two groups are now locked in a never-ending battle. “Social-imperialism” and comparisons with ‘Stasi busybodies” are some of the milder terms used by the Weekly Worker to describe their foes in the AWL. The AWL dismisses the, admittedly groupusculaire WW, and its key ally, the Monster Raving Geenstein Party. Yet things were not always so…. Spring was coming. The world was full of daffodils and gamboling hares. And love. Five observers from the Communist Party of Great Britain attended the Alliance for Workers’ Liberty’s 7th conference over the weekend of March 4-5. In general we met with a friendly reception. There was certainly a keen interest in our ideas, as witnessed by a sale of over 40 copies of the Weekly Worker. An impressive figure and much to the credit of the AWL – especially given that there were no more than around 80 of their comrades in attendance. The AWL is a small organisation of serious revolutionaries – it has 110 full and a handful of candidate members – with a relatively long history in Britain’s Trotskyite milieu. Once they existed as a faction in Tony Cliff’s International Socialism organisation. That is, until they were bureaucratically expelled. Since then, led by Sean Matgamna, they have been through a labyrinthine series of name changes, primeval unities and fragile partnerships. However, what distinguishes the AWL from that which often falsely passes itself off as Trotskyism is its culture of comparative openness and a willingness to think. We in the CPGB share and defend exactly that approach. Two representatives of the CPGB’s Provisional Central Committee and two representatives of the AWL’s National Committee met on Friday March 3. Discussion began with Mark Fischer outlining the history of the PCC’s struggle for a reforged CPGB and why we put Partyism at the centre of our work. It was explained to the comrades from the AWL that we have no CPGB golden age. Our project is about the future, not the past. Blair’s constitutional revolution was raised, along with the national question in Wales and Scotland. One AWL comrade did not see why we were so concerned with such issues. This led on to what the CPGB’s PCC understands by economism. The principles of democratic centralism were emphasised by the CPGB comrades, as was the need for a polemical communist press in the conditions of today. We stressed the necessity of engaging with advanced workers – ie, those susceptible to theory. Representatives of the CPGB and the Alliance for Workers’ Liberty have been meeting to explore areas of difference and agreement between us. Over the coming weeks, we will feature edited minutes, starting here with those of the March 3 meeting. Comments and criticisms are welcome. Agreed in conclusion: to put economism; organising the revolutionaries to revolutionise the labour movement; and Party and programme – minimum-maximum and transitional – on the agenda for a day school (date to be fixed). Next four-hander discussion: Friday March 17, to cover minimum-maximum and transitional programmes, and the nature of the ‘official communist’. The Communist Party of Great Britain and the Alliance for Workers? Liberty are continuing to explore areas of theoretical difference and agreement, and are looking at the possibility of joint work. Representatives of the executive committee of the AWL and the Provisional Central Committee of the CPGB met recently to discuss a number of issues of current practical concern and issues of ongoing debate between the two organisations. The dalliance did not last, as this document (January 2003) indicates. Marxism and karaoke-Leninism. Debates between the Alliance for Workers’ Liberty and the CPGB/Weekly Worker. The Weekly Worker responded in the shape of a piece by a certain Ian Donovan. Ian Donovan assesses the current trajectory of the Alliance for Workers’ Liberty. Being “transnational Jewish bourgeoisie” Donovan one can imagine the angle he took on the Palestine Israel issue which divided the two groups. Yet the vicarious-Zionist AWL has issued not one word of criticism or analysis of this ultra-reactionary phenomenon, which is one of the key, concrete manifestations of Zionism today. the matter in hand is to defend Galloway against the bourgeois witch-hunt. Our interest in this tale is waning, so I will end there, yet it remains etched on many a broken heart. Dispatches and the Alliance for Workers’ Liberty: Once Again on Trotskyism. 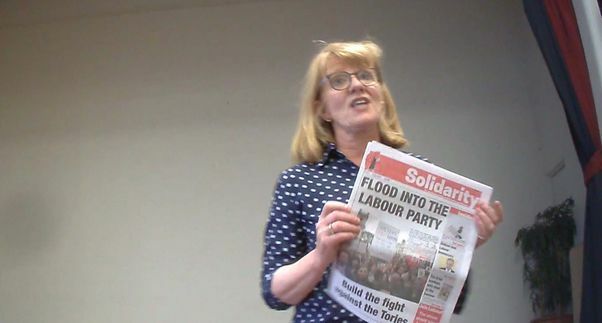 The programme said it had uncovered fresh evidence that Corbyn-backing grassroots group Momentum is being influenced by “hard left revolutionaries”. It said one has advocated a “flood” of leftists into Labour while others back mandatory reselection of anti-Corbyn MPs. Footage shows her saying: “In 30 odd years of being politically active, I don’t think I can remember a time, apart from the miner’s strike, a time as exciting as this. Momentum founder Jon Lansman said Ms Mountford was speaking in a personal capacity and not on behalf of Momentum. Zac Goldsmith says Dispatches’ ‘weak’ investigation of Momentum will only help Jeremy Corbyn. Conservative MP calls media impartiality into question. Independent. But what of the issue of Trotskyism and the Alliance for Workers’ Liberty? Much indeed has been made of ‘Trotskyism’ in recent weeks. The AWL is, it says, a Trotskyist group. To begin from their practice: the AWL has played a positive role, for some years now, in defending the cause of human rights: from its backing for the ‘two states’ position on Palestine and Israel, its refusal to follow the implicitly pro-Assad stand of some in the anti-war’ movement in Syria, its opposition to those who stand with Vladimir Putin on a range of issues, including Ukraine. In short, in the tradition of ‘Third Camp‘ Trotskyism (neither imperialism nor Stalinism but socialism) the group has stood against the ‘anti-imperialism of fools’ of those who automatically side with the opponents of the ‘West’, nationalist dictators, Islamists and authoritarian of all stripes. Their stand indicates that the debate about theory indicated in more detail above can have relevance to the world today. This has not won them universal admiration, particularly from those determined to blame everything on ‘imperialism’ in general and the USA in particular. The AWL has also campaigned, over a long period (going back to the 1975 Referendum), for a Workers’ Europe. • To fight for a workers’ Europe, based on working class solidarity. Many people, trade union, political and campaign group activists, far beyond the AWL itself, supported this call. Theory: for anybody genuinely interested in what the Alliance for Workers’ Liberty means by Trotskyism the place to start is there: The two Trotskyisms. 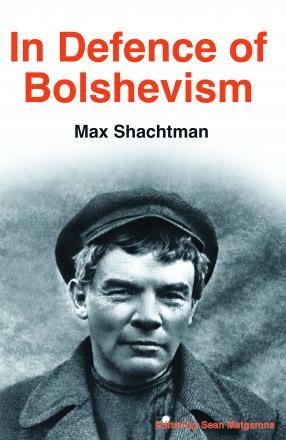 Sean Matgamna followed by Reviews and comments on The Two Trotskyisms. These debated a range of points about ‘orthodox’ and ‘heterodox’ Trotskyism, and whether these had any meaning and relevance in left politics today. The AWL published many of these contributions in its paper, Solidarity. It is clear that comrade Sacha is right to say, “We always argue for our ideas through open discussion and debate. People either reject what we say or are convinced by it, and that’s fine. Our members and supporters make no apologies for trying to influence policy. That is what democratic politics is about. On that last point, we are no different from members of Progress, the Fabian Society, Compass and other Labour Party groupings”. Solidarity, is known in the movement for its serious articles on trade union issues, reliable reports on subjects such as Welfare and Women’s rights, and an approach to anti-racism that does not dismiss the problem of reactionary Islamism and the persistence of anti-Semitism. To continue on Europe to illustrate the group’s activity: during the EU Referendum, the AWL, like Momentum, (EU referendum: Momentum movement campaigners drafted in to rally support for Remain vote) actively backed the themes of Another Europe is Possible, the left ‘Remain’ campaign. On this key issue, which defines present British politics, the group showed its commitment to backing Labour Party policy, campaigning not in order to ‘recruit’ for its group but to further the interests of the movement as a whole. What is to be done now is to conserve and extend workers’ unity, between workers in Britain of all origins and between British and European workers; to defend migrant rights and the worker rights which have entered British law under pressure from the EU; to fight to redirect the social anger expressed in Brexit votes towards social solidarity, taxing the rich, and social ownership of the banks and industry; and to stand up for socialism. None of that can be done if the left falls for the fantasy that the Brexit vote already took things our way. A broad swathe of democratic socialists would agree with this. This Blog, a left European democratic socialist site, has no hesitation in defending the AWL against the accusations of undemocratic practice made by Dispatches and others. Full text of Sacha’s video talk here: Dispatches attacks Workers’ Liberty.